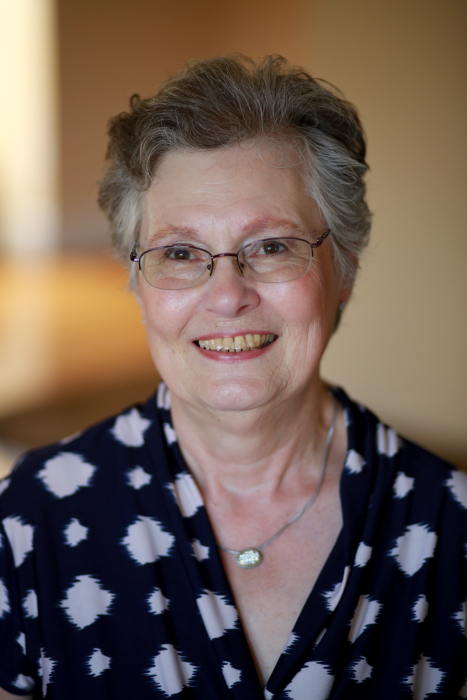 Marie T. Flint, loving wife, mother, and grandmother of Newport, NH died peacefully at the young age of 72 with her devoted husband at her side on Thursday, September 6, 2018 at Dartmouth’s Jack Byrnes Palliative and Hospice Care Center in Lebanon, NH. Despite being given 6 months to live in August 2015, Marie celebrated an additional 3 years of life inspiring those around her with her determination, strength, and grace while living with cancer. Marie was born in Worcester, MA in August 1946, daughter to the late John A. Surprise and Albina (Gouin) Surprise. She received her High School Diploma from the Sacred Heart Academy in Worcester in 1964, her Bachelor of Science degree in Accounting in 1987 from New Hampshire College (now known as Southern New Hampshire University), and became a Certified Public Accountant in 1989. She practiced public accounting for 35 years and opened her own accounting firm in 1989 in Newport, NH where she successfully practiced until she retired and sold her business at age 69. Throughout her career she belonged to the Maine Association of Professional Accountants, New Hampshire Society of Certified Public Accountants, the American Institute of Certified Public Accountants, the State of NH Board of Accountancy, and the National Society of Accountants. She also served as the Newport School District treasurer in the 1980’s and most recently as the treasurer for the Newport Senior Center. Marie married Lawrence (Larry) W. Flint in September of 1967. After having two daughters, Karyn and Laura, and moving to several locations including 5 ½ years in Raleigh, NC, they settled in Newport, NH in 1981. After 51 years of marriage, she and Larry remained extremely close and even worked together at her business during the last years of her career. Her children remember her as a caring, compassionate, and knowledgeable mother and an extremely independent and strong woman who always encouraged them to pursue their dreams and believe in themselves. Marie was creative and absolutely loved to learn. She was a self-taught, accomplished seamstress. She designed and made clothes, upholstery, dance costumes, and numerous gifts. She loved photography and used to develop her own negatives. She found joy in pottery, needlepoint, finding and pressing unique wildflowers, crocheting, drawing, painting, playing the organ, and gardening. Marie had a beautiful singing voice and her eyes would sparkle whenever she sang. During times of discomfort from cancer, she drew upon her love of knitting, cooking, and reading to escape, and of course, planning her next exciting excursion. Marie was always up for adventure and loved to travel with her husband. They visited numerous national parks, cathedrals, museums, and monuments across many states including Alaska. It brought her such joy to share what she learned with her children and grandchildren. Marie was tremendously generous, humble, and polite. She never spoke of all the ways she helped others with her services and supports and brushed aside compliments like she was unworthy of them. She was capable of talking to anyone with ease but secretly she was shy. If you were lucky enough to get to know her, you might have been blessed to see her wide smile and contagious laughter. She had a genuineness and positive spirit that touched anyone who came to know her. She was an active and dedicated member of Saint Patrick’s church in Newport, NH. She volunteered in the choir and took several oversea pilgrimages with the church to such places as Rome, Italy; Medjugorje in Bosnia-Herzegovina: and the Holy Lands in Israel. Her faith was very strong and inspired those around her. Indeed, Marie was a very special woman. She is survived by her husband, Larry Flint; daughter Karyn and husband Ron Fisher living in Strafford, NH and their children, Lucas, Sydney, and Sheldyn; daughter Laura and husband Paul Maravetz living in Waterbury Center, VT and their children, Gabriel and Zachary; sister Janet and husband Stephen Collette, Oakham, MA; brother Donald and wife Nancy, Oxford, MA; and her brother John, Claremont, NH. She also leaves behind many nephews, nieces and their families. Calling hours are 5-7pm on Thursday, September 13 at the Newton-Bartlett Funeral Home on 42 Main Street in Newport. The funeral is scheduled for 10:00 am on Friday September 14, 2018 at Saint Patrick’s Church in Newport, NH with a reception to follow at Assumption Hall. Close friends and family are welcome to attend and celebrate Marie’s amazing life.